let us know and we will do our best to help you. Rocket Ropes operates via booked session times. Session times run every hour on the hour starting from 9am in summer and 10am in autumn and winter. Arrival time must be at least 15 minutes before the session time to secure your time slot, for example 12pm session participants must arrive no later than 11.45am. Mon – Fri– By appointment only with min 8 people per booking. If you don’t have the min 8 people and want to climb during the week, call us to see if you can join another group. Sat and Sun* – Oct – Mar – First climb 9am, last climb 3pm, Apr – Sept – First climb 10am, last climb 2pm. No minimum number requirements on weekends, bookings are essential. * Opening hours are dependant on bookings. Open from 9am with last entry at 3pm every day of the week. Bookings essential. If coming from the Southern motorway, take the signs to the airport (exit 449B), follow all the way to the airport and we are on the right hand side before McDonalds. If coming from South western motorway, take the signs to the airport (exit 20A), follow all the way to the airport and turn left into Tom Pearce drive (opposite Z service station). We are on the left hand side past McDonalds. We are committed to providing you with the highest level of safety at Rocket Ropes and as a result Rocket Ropes has a blemish-free safety record. Check out the FAQ’s if you have a question check out our frequently asked questions. Safety Equipment – We use the Bornack SSB smart-belay system. The Bornack SSB smart-belay system, as it does not allow participants to ever remove both safety attachments at the same time; so you are always safely connected. The Bornack system is designed and engineered in Germany and is the winner of the 2013 & 2012 new product award at the international adventure park association (IAPA) awards. We are the only facility in New Zealand offering this fantastic, easy to use system. A full safety briefing and induction including completion and grading on a practice course is done before you head up onto the ropes. In the induction we explain how the Bornack works, what all the equipment, how it is fitted and complete a full check once fitting is complete. While up on the course you are given the responsibility to manage your own safety with instructors just a shout away, monitoring your progress from the ground. All of our instructors are fully trained with rescue personnel always present equipped with specialized gear if you ever require their assistance. The Rocketeer kids climbing course was such a thrill for my two kids. They easily spent over an hour climbing in, out and over all the activities. They loved that they had to be geared up like the big kids and the staff really made them feel special while doing it. Thank you Rocket Ropes!! 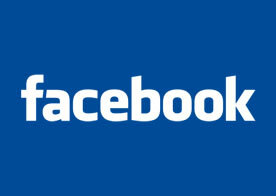 Visit us on Facebook for more deals, events and competitions. 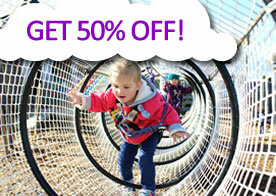 Get 50% off the Rocketeer Course if you visited Butterfly Creek on the same day!